This is one of Devol’s most popular kitchens and it’s not hard to see why. 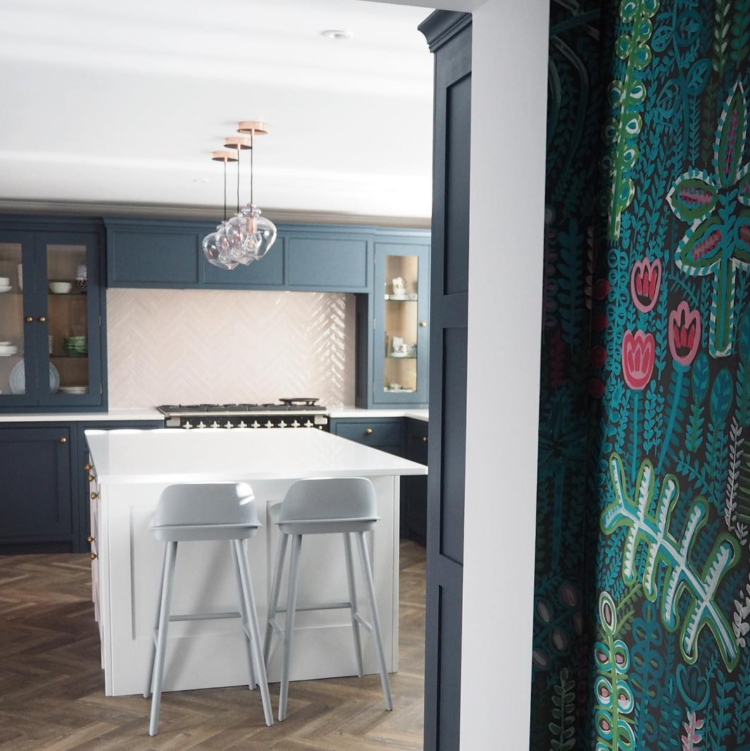 The cupboards are painted in their pantry blue and the the crittall style windows really tie the room together. The black fridge is also a great detail. I painted my kitchen cupboards dark navy/blue/black a year ago and still really love it. But I have white painted floorboards – still love ’em but ooh parquet….. and I don’t have a black fridge. This kitchen is also one of the ones I see most often when visiting clients too. The worktop looks like Cararra marble but is actually Quartz which is much more practical than touchy marble and virtually indistinguishable. The other great thing about this kitchen is that is has been really well laid out. It’s clearly a big room but the actual kitchen space is small – a galley – so that everything is within reach. It would still be great even if there was a wall behind the island instead of it being an island with an open space behind. And if you don’t fancy black cupboards then think about navy blue or dark green. 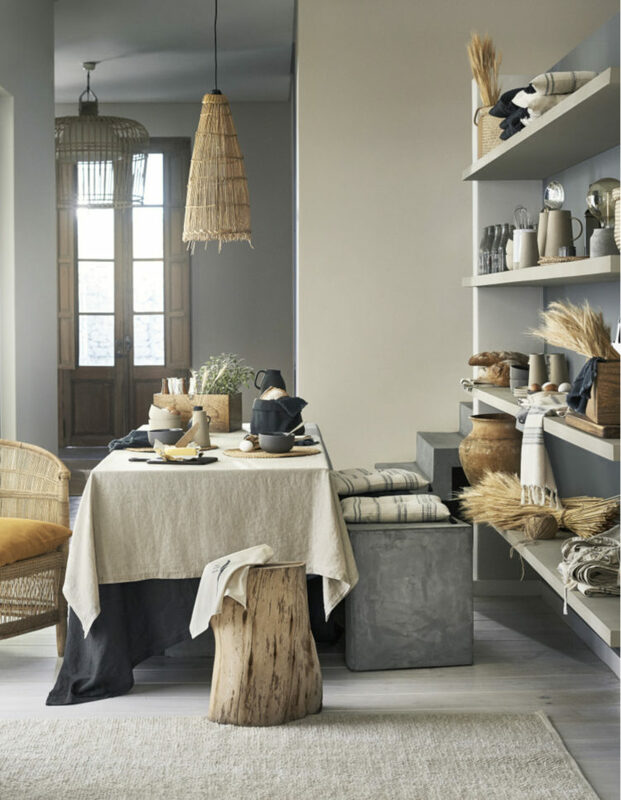 All of which are neutrals that will go perfectly in a room like this. Or what about this by Erica Davies of The Edited whose newly refurbished kitchen has been done in navy blue with blush pink herringbone tiles over the cooker. She has added this Lucy Tiffney wallpaper to the passage between the hall and the kitchen which is the perfect place for a dramatic decorating choice – you won’t be standing there for ages so you will just catch the odd glimpse as you pass through or turn the fishfingers and it will be just enough to make your heart sing as you see it. There’s something about this restful green paint that is just heavenly for a bedroom. I think this is Australian Haymes paint for those of you living over that way. For the others you can try Farrow and Ball Pigeon for a similar shade. I’ve only just painted my bedroom but I could be very tempted by this. A few weeks ago I went to a dinner hosted by Jasmine Hemsley for H&M. Yes the food was amazing but so was the new collection. I was impressed. They are, to use a young person’s expression, really killing it at the moment. Lots of black and white geometric, lots of turmeric accents and all in good quality materials too. No they’re not paying me but it’s definitely one to keep an eye on. Now for something a little more dramatic but still so restful. If you were here on Friday you will remember the Househunter flat I posted with that blush pink wall and its yellow stripe underneath. Well it’s clearly a thing as this room has used the same idea but grounded it a little with the half grey wall. I’ve always been slightly averse to yellow but mixed with this pink I’m coming round to it. And you can’t go wrong with pink and grey either. I’d go blush and charcoal for the strongest effect but maybe I need to buy a tin of yellow paint too…. 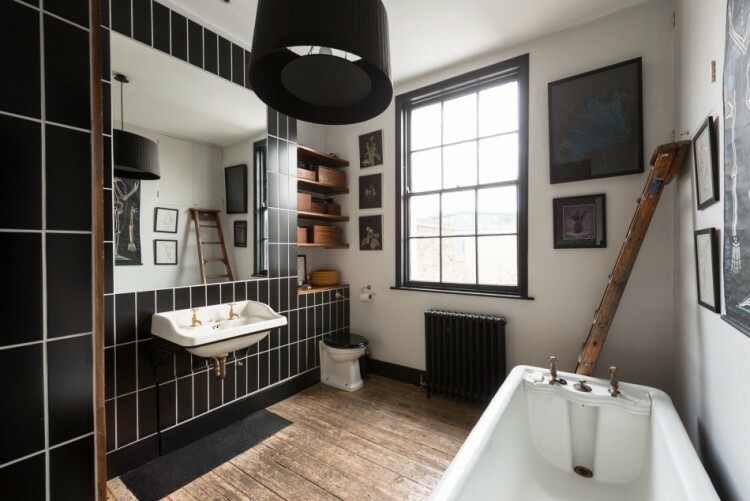 Coming full circle and back to the monochrome, this bathroom belonged to one of the founders of Darkroom London. It has since been sold so who knows if the new owners have changed it. I the graphic black and white tiles but it’s saved from being too stark by the vintage wood and floorboards. And rounding off with another from Devol – similar dark cupboards to the top but this time a more rustic floor than the refined parquet above and a wooden worktop rather than the white marble. Which do you prefer? 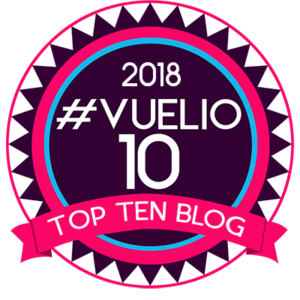 I hope you have enjoyed wandering through these 10 Beautiful Rooms. I certainly have. What beautiful rooms. I absolutely love the combination of wood tones and dark cabinets in the last photo. Fantastic! Just stunning. All of them. Loads of much needed inspiration, thank you. Way to kick off the week. Wow. 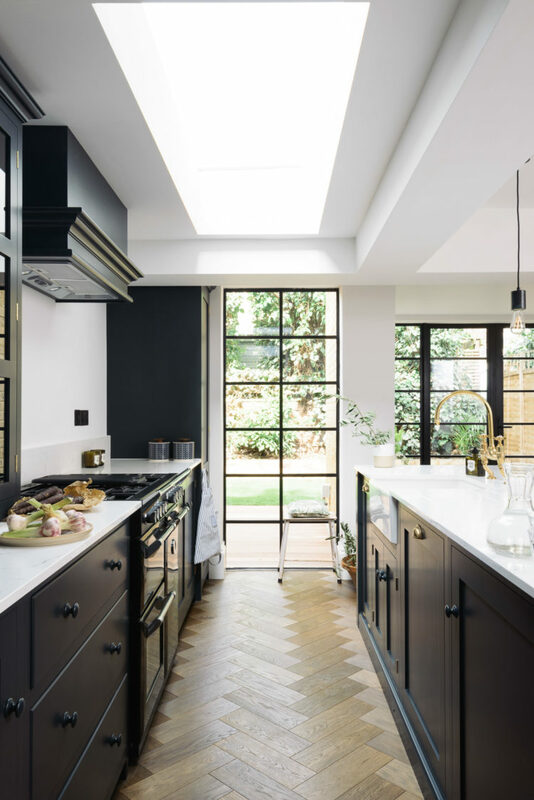 I’m totally feeling the crittall window in the b&w galley kitchen. All ten rooms are awesome. Thanks for the much needed eye candy, Kate. I’m determined to have navy Devol units in my next kitchen, at the moment I have cream units with MASSIVE pine knobs for handles and a lurid slate effect floor. I am now adding to the list: parquet floor and pink herringbone tiles. Also love the green bedroom. Thanks for sharing your latest insight Kate. I love the dark devo kitchen ideas as I’m contemplating painting my own cupboards although a bit nervous of the outcome, so fingers crossed! woke up this morning feeling somewhat anxious about the 6 weeks ahead and how I’m going to juggle work and ‘amusing the kids’, so I thought I would ease myself into the working day with a coffee and nosey at 10 beautiful rooms and I have to say, you’ve chosen some good’uns today Kate. Stunning inspiration to start off a Monday morning and now feeling refocused for a working week of interiors…….